Yesterday’s doll conversations brought back fond memories of a cherished childhood friend. His name was Charlie. He had curled pink fur and bright blue eyes that somehow didn’t seem right, but were. I remember many a dark night when Charlie was my cuddle pal. I can’t remember why I cut Charlie’s long ears off. They were most likely cropped to better match his eyes. 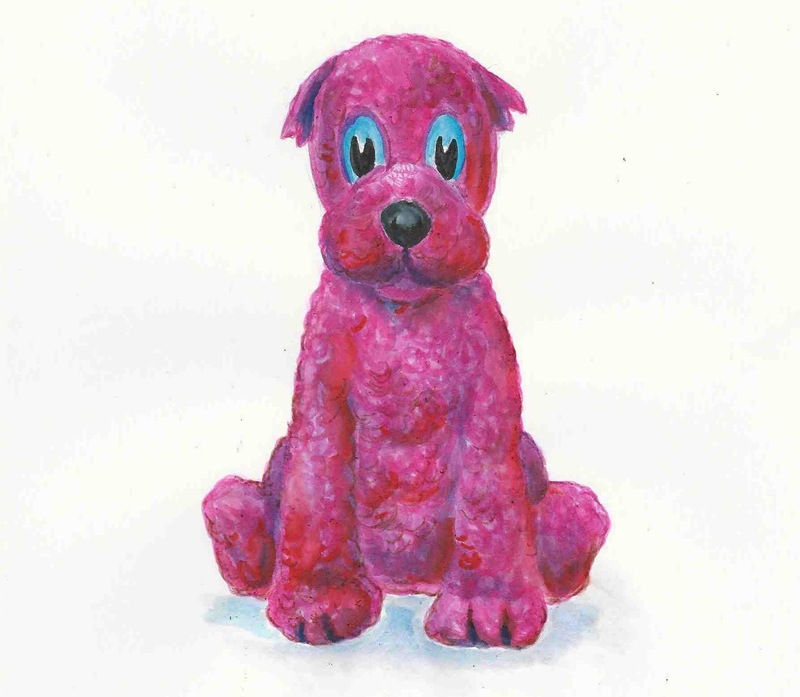 I can’t recall what eventually became of my beloved pink buddy. Maybe he ran away in fear. His little lunatic owner might chop off his balled tail which didn’t look quite right, but was. It’s funny how sometimes making new friends can remind us of old lost ones. My blog buddy, Deb has an impossibly adorable dog named Charlie. If you’d like to see precious Charlie along with all his other four-legged house buddies visit C-Dog. Deb is a brilliant wordsmith and a great champion of animals in every conceivable color, even pink. And Fawn of Trigger’s Horse, handles her mom’s cherished doll collection with warmth and pride. Fawn is a volunteer extraordinaire and a multi-talented craftsperson. Thank you. May you dream of your favorite childhood friend. This entry was posted in Life in General, My Art & Writing and tagged actiivism, adolescence, animals, art, blogs, crafts, dolls, drawing, dreams, early years, friends, toys, writing. Bookmark the permalink. It was such great fun remembering Charlie. When I drew him, I was smiling because there he was, my old friend returned to me 🙂 I should have drawn him long ago.